Fisheries and Aquaculture provide food and work all over the world, especially in developing countries. Over 80 Million tons are harvested annually from the sea by capture fisheries, and marine aquaculture produces another 26 Million tons. 260 Million people are employed in fisheries worldwide, most of them in small-scale fisheries in tropical and subtropical regions. 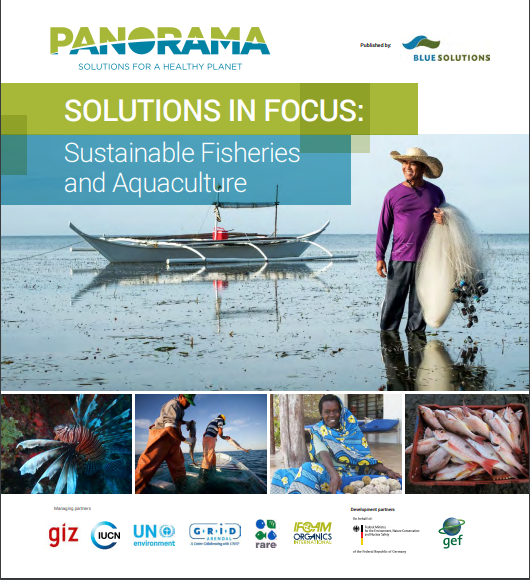 Fish and shellfish are highly important for food security and provide over three billion people with almost 20% of their animal protein intake. At the same time, the intense exploitation has led to widespread overfishing, today 90% of fish stocks are exploited at maximum sustainable levels or are already being overfished. The management of Alaskan halibut fisheries has been enabled through a long-term collaboration between government policymakers and private fishing vessel owners in designing a scheme that rigorously meets environmental standards while enabling the industry to thrive. Mangroves and other coastal ecosystems act as natural defenses that protect people and property from storms, floods, erosion, and other coastal hazards, reducing coastal risk. This Technical Report applies the Expected Damage Function approach recommended by the World Bank to quantify the risk reduction benefits, in economic and social terms, from mangroves in the Philippines.